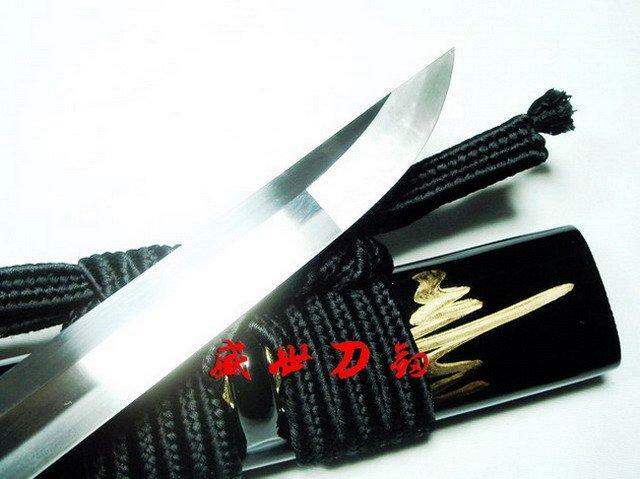 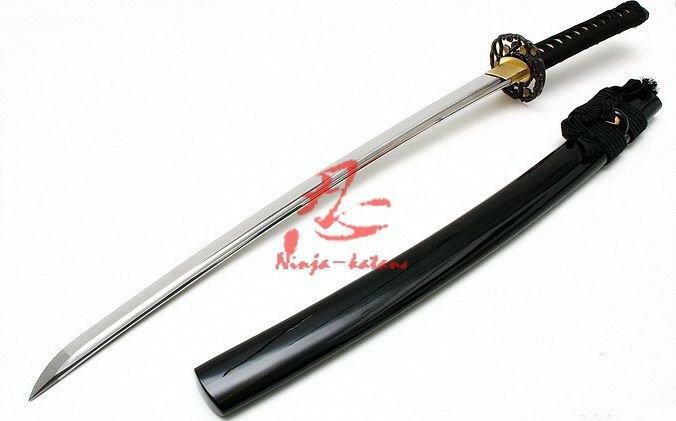 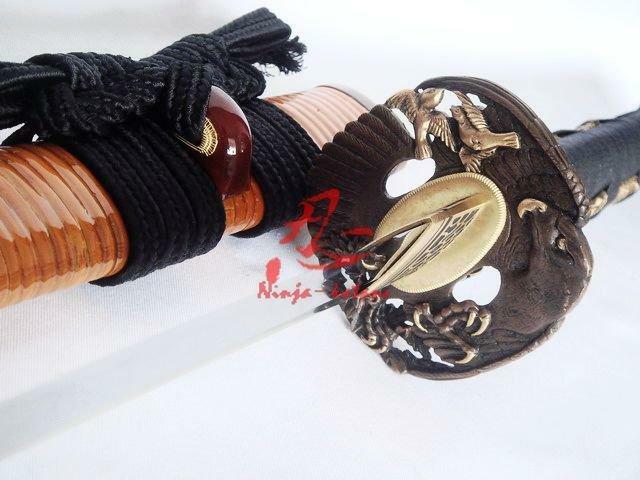 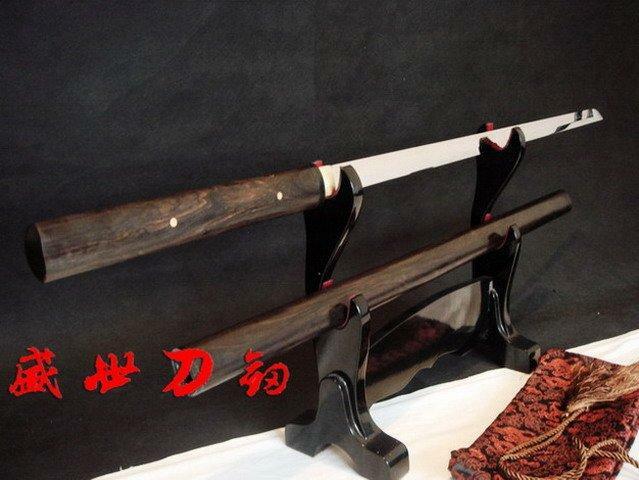 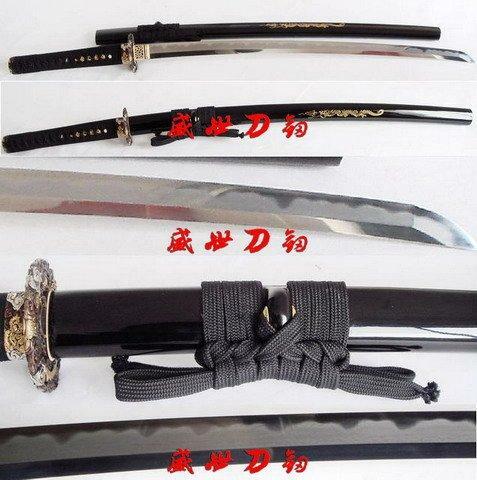 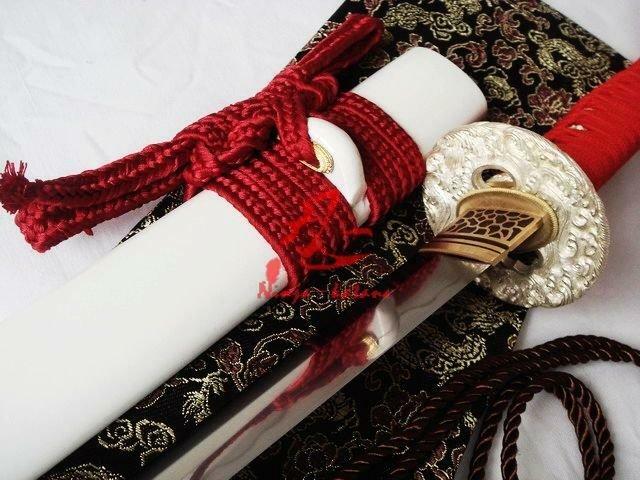 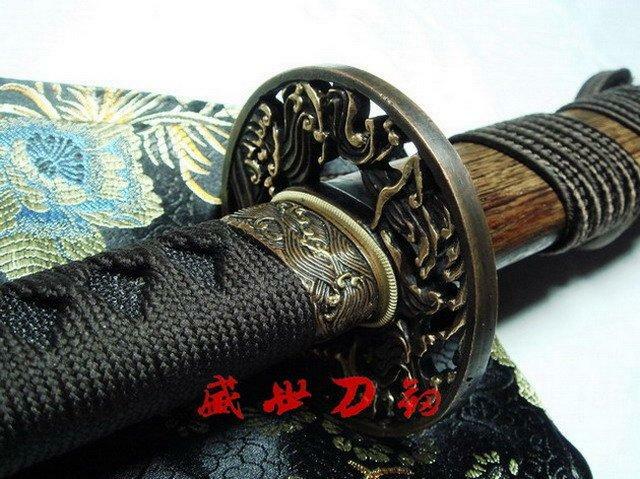 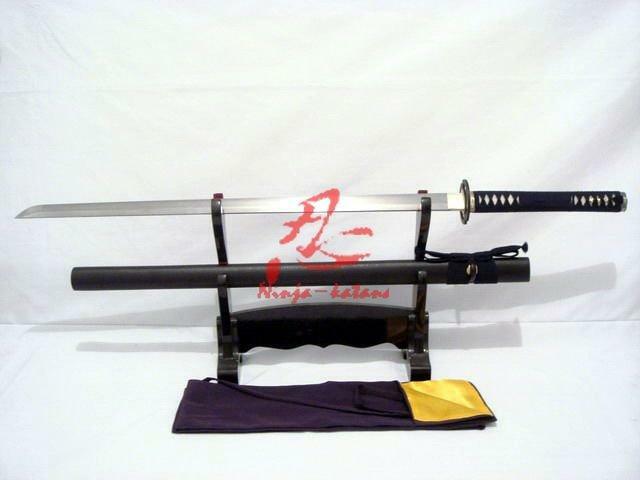 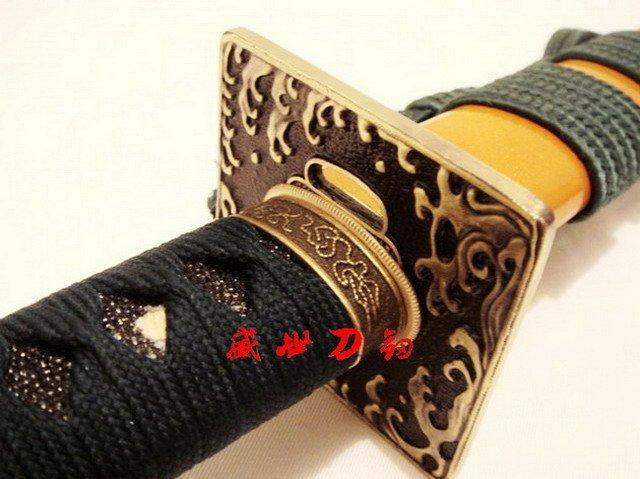 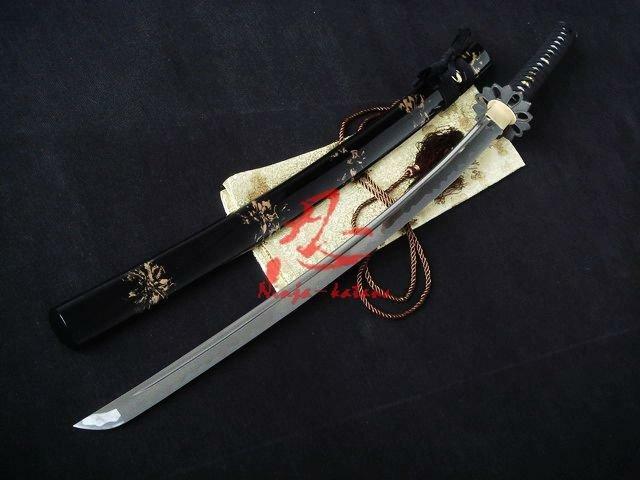 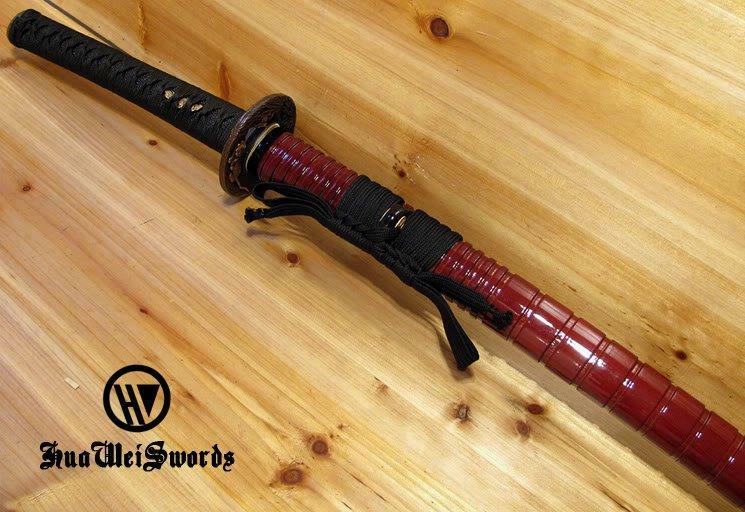 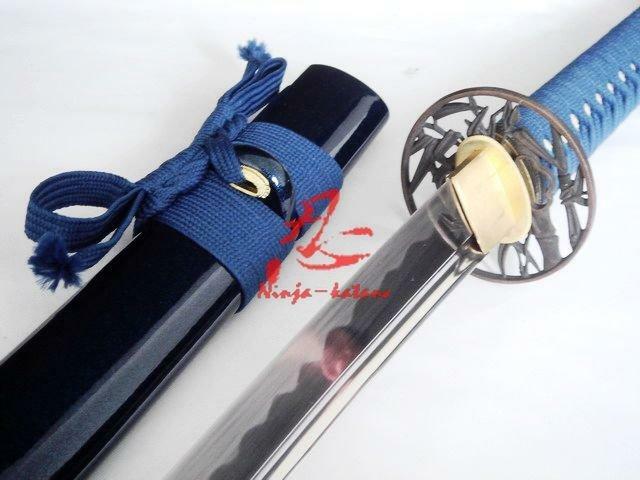 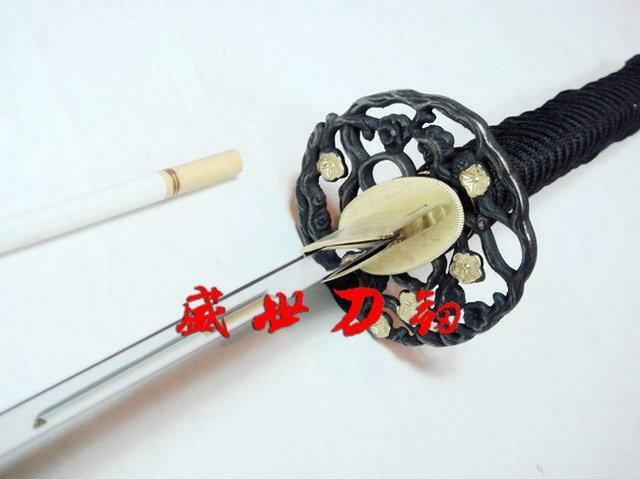 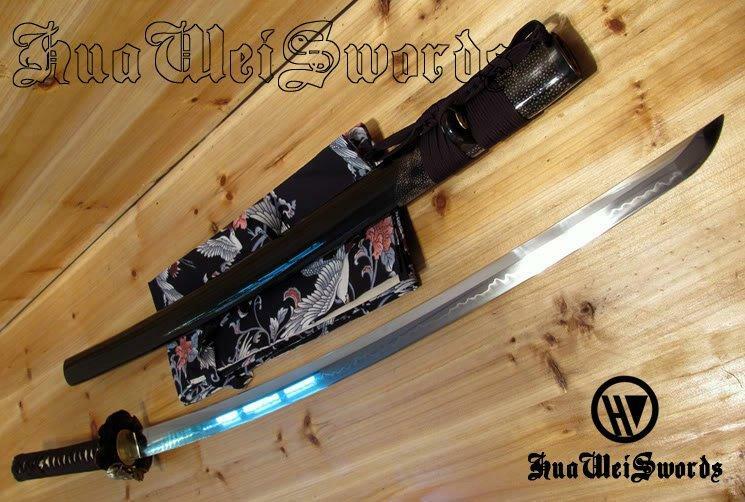 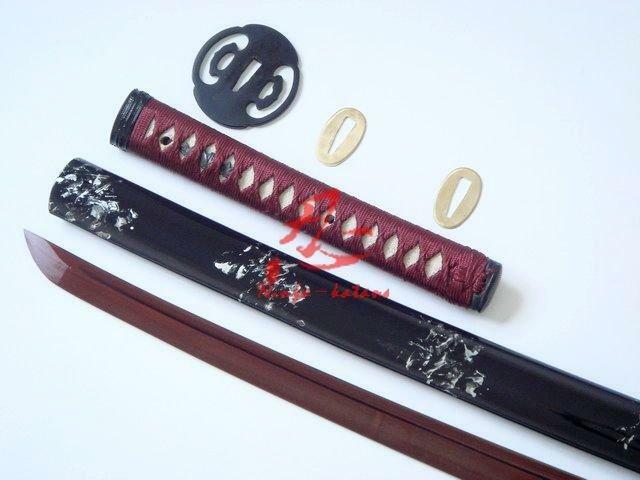 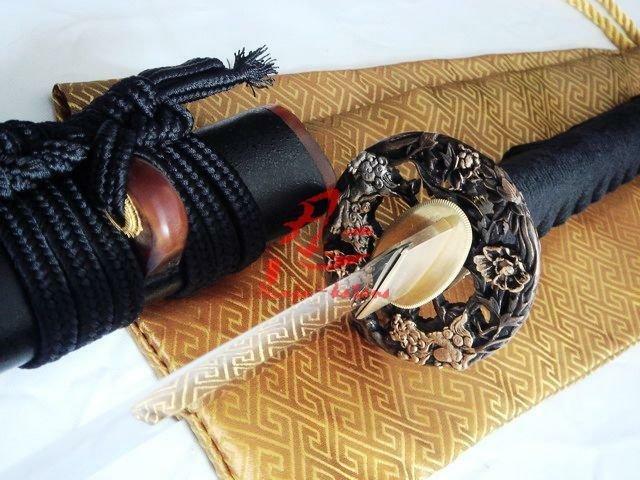 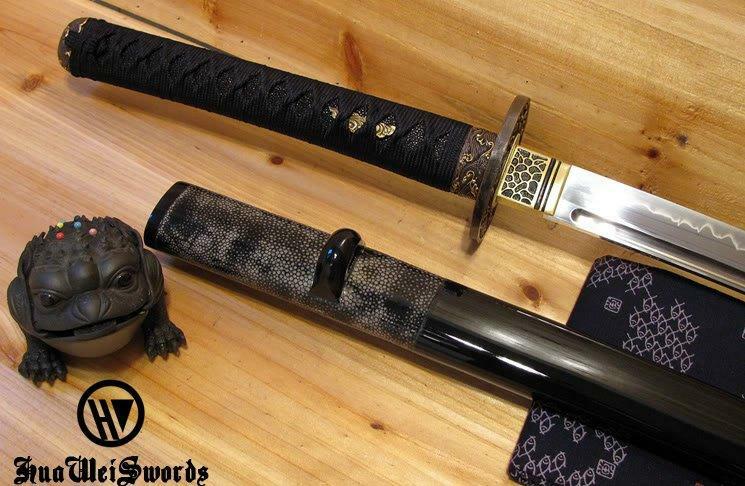 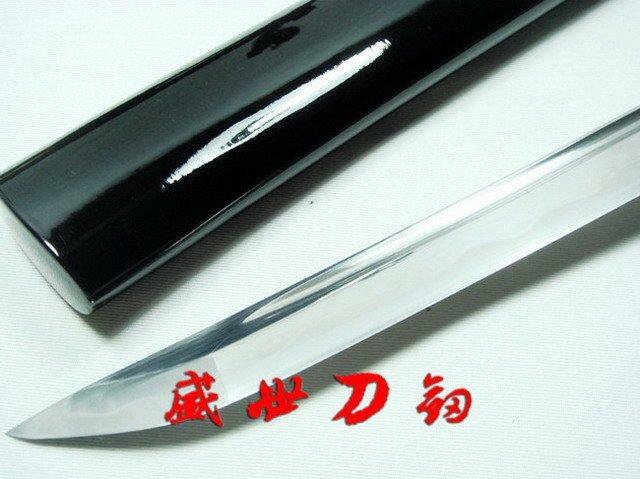 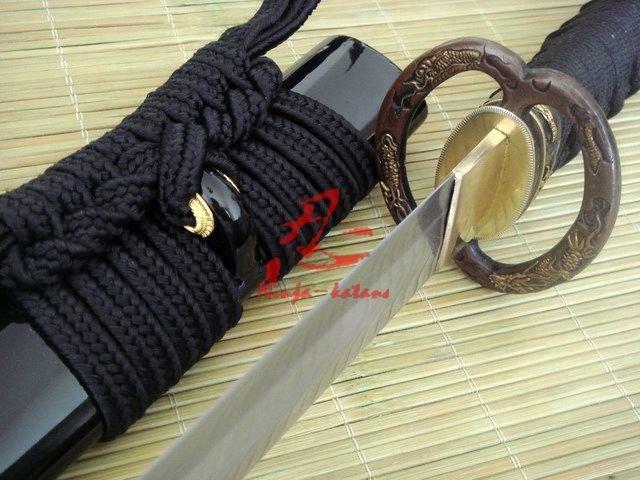 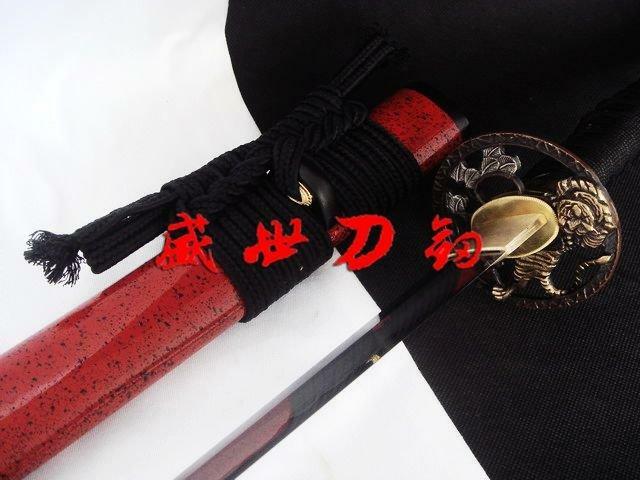 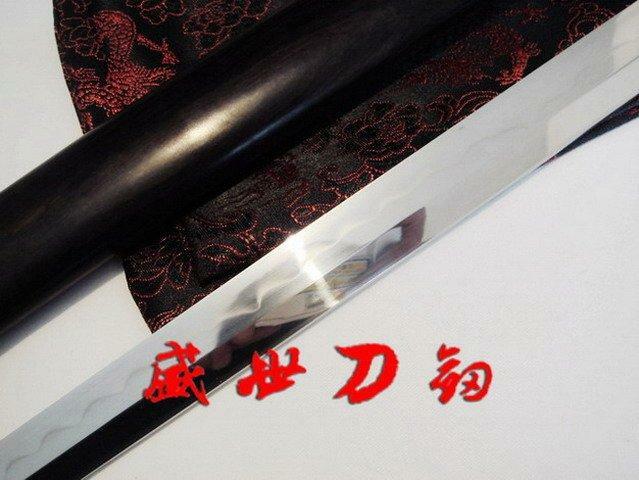 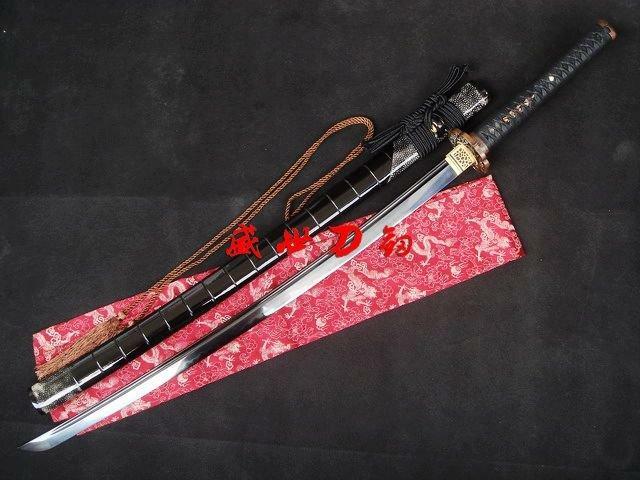 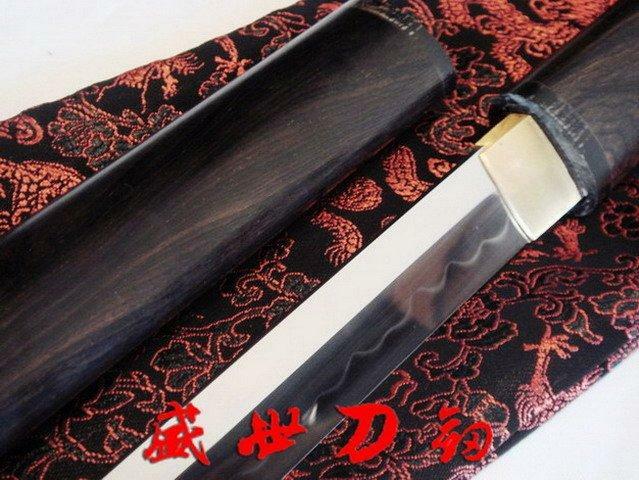 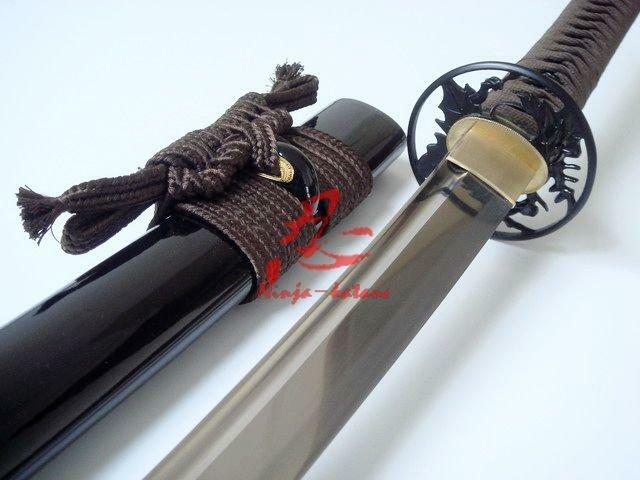 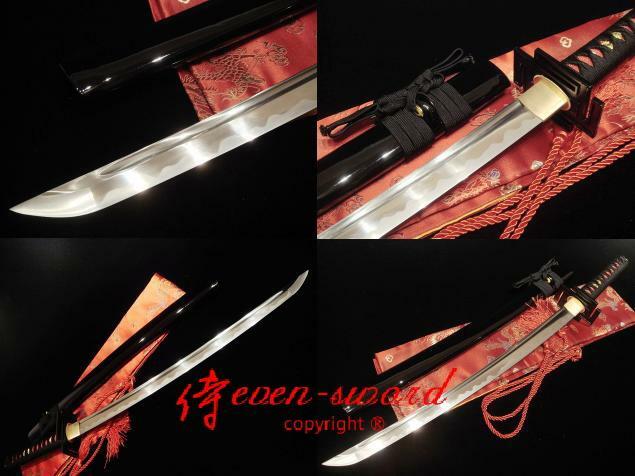 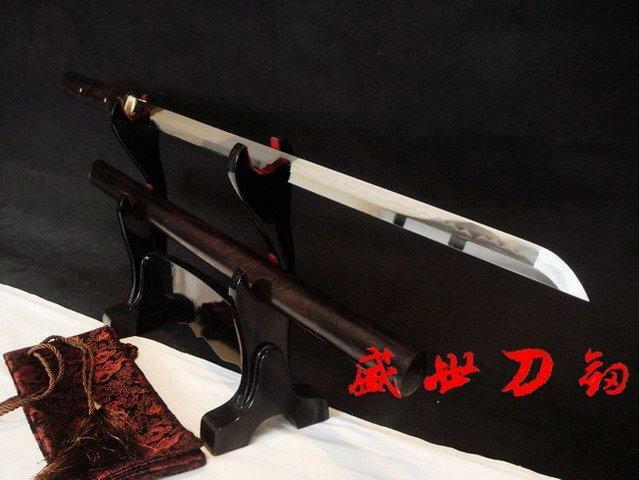 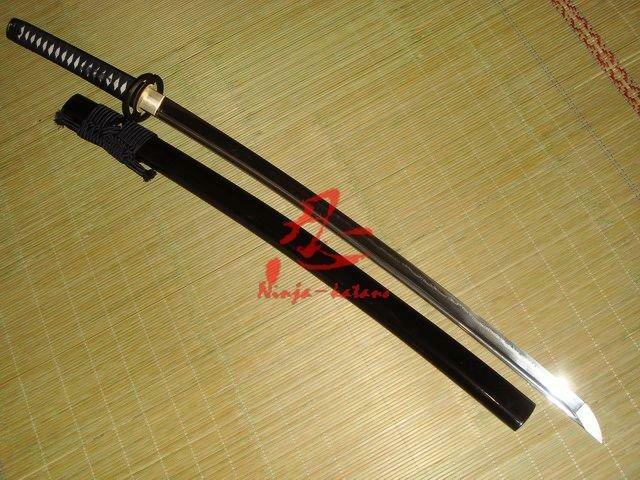 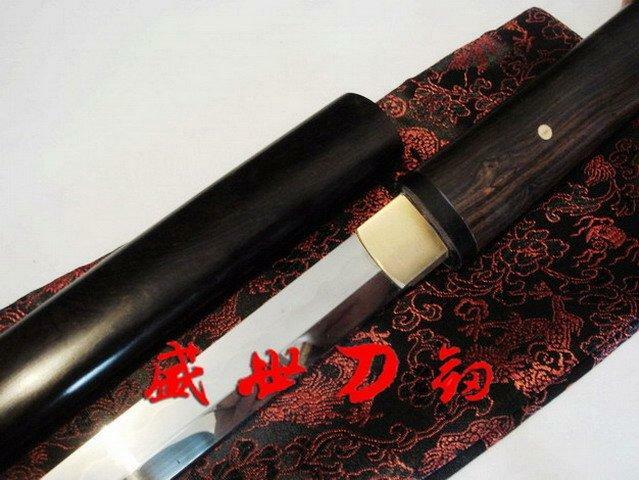 -The blade was made of 1095 high carbon steel, and it has been laminated in a Maru style with real hamon line. 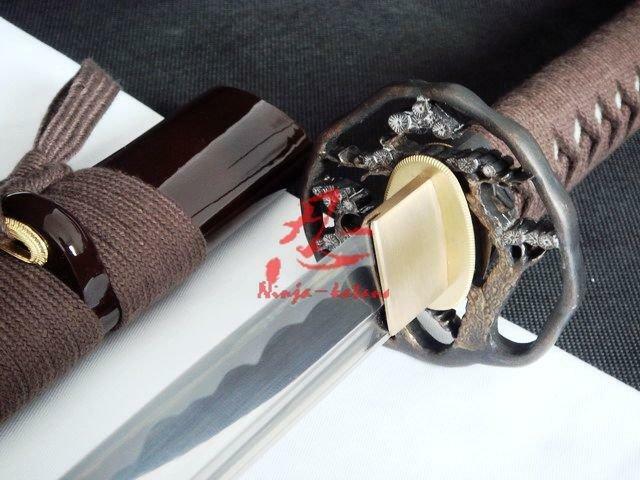 A special clay was applied to the blade by hand, using a thin covering near the edge and a thicker layer over the rest of the blade. 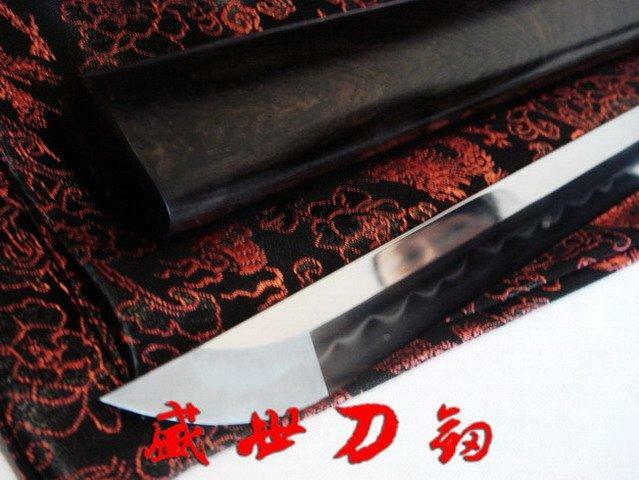 this results in a relatively quick cooling of the edge during quenching, producing a hard edge and softer back. 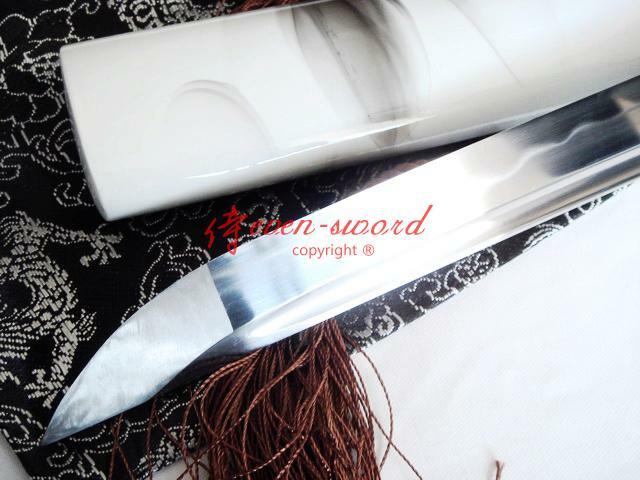 the beautiful real hamon on the blade was also result of the differential cooling of the blade (quenching and tempering).